One of the questions that I get asked most when I am out speaking at an event is: what’s the secret to the continuing success of Disney animated films? The easy answer is that Disney creates animated films that have great stories populated with endearing characters set in unique or fantastical worlds that audiences want to spend time in and revisit over and over again. And that is generally what many will point to as the magic recipe for Disney animated classics. But, having worked at Disney for more than thirty-two years on enduring classics like The Little Mermaid, Beauty and the Beast, Aladdin, The Lion King, Pocahontas, Who Framed Roger Rabbit, Fantasia 2000 and many others, there is more to it than just story, characters, and worlds. There is also what I refer to as the secret sauce that Disney has had from the outset, the artists. Not just any group of artists, but the team of artists that worked and trained together over long periods of time. A team that in essence moved from one picture to the next. Sure, that team changed up some with a few artists leaving and new ones coming onboard but there is a collective memory that develops within a core group of artists over a sustained time period. It has made the difference through the decades differentiating Disney animation from all the other studios that have popped up and come and gone over the years. Many of those other studios have washed artists in and out on a project by project basis like factory workers making widgets. Those studios lacked staying power, doing one or two films before folding up, simply because they didn’t have a strong, cohesive team. They didn’t invest in their artists. “I don’t pose as an authority on anything at all, I follow the opinions of the ordinary people I meet, and I take pride in the close-knit teamwork with my organization,” said Walt Disney. This philosophy is what has separated Disney from its competitors. What Jay Rasulo, former Chief Financial Officer and Chairman of Disney Parks and Resorts, coined as “the Disney Difference.” It is the belief in your people. For animation, it’s the belief in the artists, the trust that they are talented, intelligent individuals collectively creating a film that will resonate from generation to generation. The Disney animated films are moving works of art that are crafted to touch the broadest possible audience in a respectful, meaningful and entertaining way. 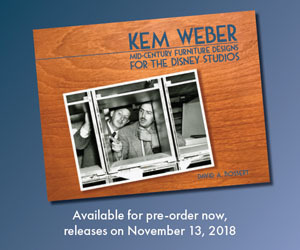 While other studios outsourced animation overseas, Disney feature animated pictures continued to be crafted by the artists at the Burbank studio, and for a brief time also at satellite studios in Orlando and Paris. Even the thought of outsourcing Disney animation is repugnant and does not align with the quality standards that audiences have counted on from Disney for decades. If the studio ever looked at outsourcing animation as a way to reduce costs, it would be a misguided exercise as all they would need to do, in the context of the cycle, to rein in budgets is to look within—trim the fat. A top to bottom assessment is all that is needed to see exactly where the money is being spent. And at the top of the cycle, such an assessment always elicits surprises as to how much of the budget is actually showing up on screen or not. 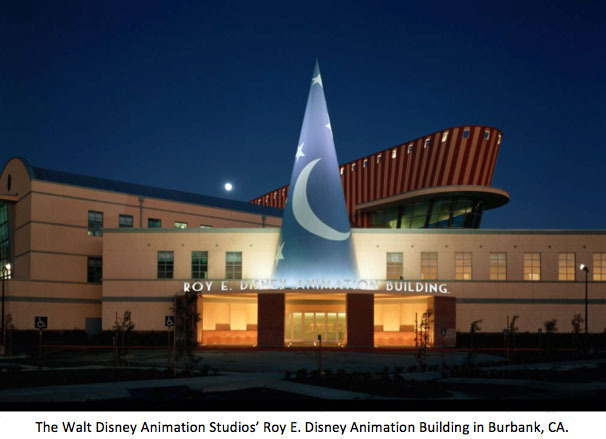 The Walt Disney Animation Studio goes through cycles that can be tracked in intervals over the course of the studio’s history. From the bottom to the top of a cycle is roughly ten years or so—from a lean operation to a top heavy, bloated operation, which is true for many organizations. The sweet spot being about in the middle of the cycle when films like Snow White and the Seven Dwarfs, Cinderella, Sleeping Beauty, Jungle Book, Beauty and the Beast, Aladdin and The Lion King were produced. To be sure, the cycle is shorter or longer over the timeline when you take into account external factors such as the economy, war, the death of the founder, etc. But, you can easily track these cycles and correlate them to the health of the studio and the overall company. Yet the one constant is the artists that actually make the movies who should be looked at for their resourcefulness in getting the films made, sometimes under stressful conditions, through the ups and downs of the cycle. “We don’t make these pictures to make money. 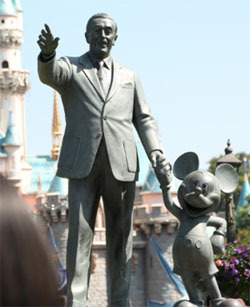 We make money so that we can make more pictures,” said Walt. That means to me that if you focus on letting the filmmakers and artists make a great movie the bottom-line will take care of itself. That was difficult sometimes at the apex of the cycle when there were too many managers trying to “manage” the artists and the creative process rather than letting them make the movie. If you over manage the creative process, you suffocate it. It requires a balance, which does get out of whack at the height of the cycle when the animation department becomes a victim of its own success. We’ve seen this time and again. 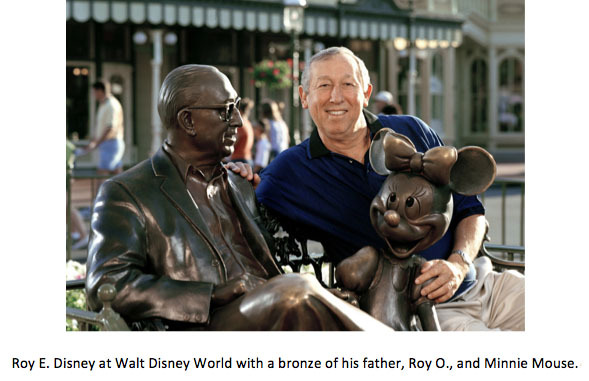 “One of the things that Walt understood was that art is great, but it is the artists that make it, you have to believe in; you have to put your trust in and faith in…You don’t do stuff by yourself in this business, you got to say “we” all the time in this business,” said Roy E. Disney. It is never about one individual, but always about the collective team of artists that have collaborated over a long period of time. The ability for those artists to build a camaraderie, a rapport that allowed for an intuitiveness to develop of how each worked and a chemistry that enabled and contributed to the creation of all the Disney animated films, classics and new. It was a capacity to have hallway meetings to solve a creative problem or the freedom to pull a few artists together and spitball an idea. It was the unabated access to the directors and each other without having to schedule meetings days or weeks in advance to discuss something that could be resolved in five minutes on the fly. Lean and agile, that is the real magic of Disney animation—the Disney Difference—while making those animated masterpieces. Some of the most successful Disney animated movies were made efficiently with a lean management staff and a robust artistic and technical crew on a tight budget. Often times the lack of resources breeds inventiveness and innovation. Just look at what was accomplished on the early Disney features when the filmmakers were limited to four cel levels and an analog camera. They were able to make some of the most memorable scenes in animation history, which still entertain and astound audiences today. The one constant with Disney animation is the collective group of artists and technicians that make the films. The cycles will also continue, as it has done for more than ninety years, and in the process they will keep making timeless classics, whether with generous or lean budgets, that will be enjoyed globally for generations to come. That Muse’s Madness fills SNOW WHITE, PINOCCHIO, BAMBI, FANTASIA and DUMBO and SLEEPING BEAUTY in moments but that is where it ends. Yes, the films make money. That, however, is not enough. There is a saying, without risk there is no theater. Neither is there a life. From an artistic/commercial perspective nothing produced at Disney equals one of Andy Warhol’s soup can paintings. They were laughed at when Warhol produced them. The gallery owner who first exhibited them made a deal with Warhol to buy the lot at $100 per. Today they sell at $11 million and over per. Disney, Pixar and all of American Studio animation fail miserably at producing work with real vitality. I really disagree there. I think Disney is still the top of the animated studio class in the U.S. Although, I do hope they do a traditional animation film one of these days. I’d venture that stakes have at least a little to do with it. A Walt Disney betting his personal company and rolling the dice is a different proposition than an army of risk-adverse corporate employees trying to drain all the guesswork out of huge business ventures (or at least CYA). And after a few successes anybody will find himself battling hubris, or terror of pure luck running out, or both. Speaking of which, anyone hear about Don Hahn’s doc HOWARD? It should be also noted that branding helps a great deal as well. Some of you may know this story: Around 20 years ago, Warners was previewing an animated feature called QUEST FOR CAMELOT, and the numbers were pretty grim. Then, just for the hell of it, they decided to cut off the WB logo and replace with a Disney logo. No other changes were made. The next screening, the excellent/good numbers jumped by over 20%! Moral: The better your brand, the more latitude an audience will grant you. The thing that really angers me about Disney is how he ratted out people for HUAC and ruined John Hubley’s mainstream career, setting back US feature animation decades. And they did the same thing for Lou Bunin’s Alice in Wonderland by preventing its mainstream release in the United States. Walt Disney did a lot of great things but he did some bad things too.